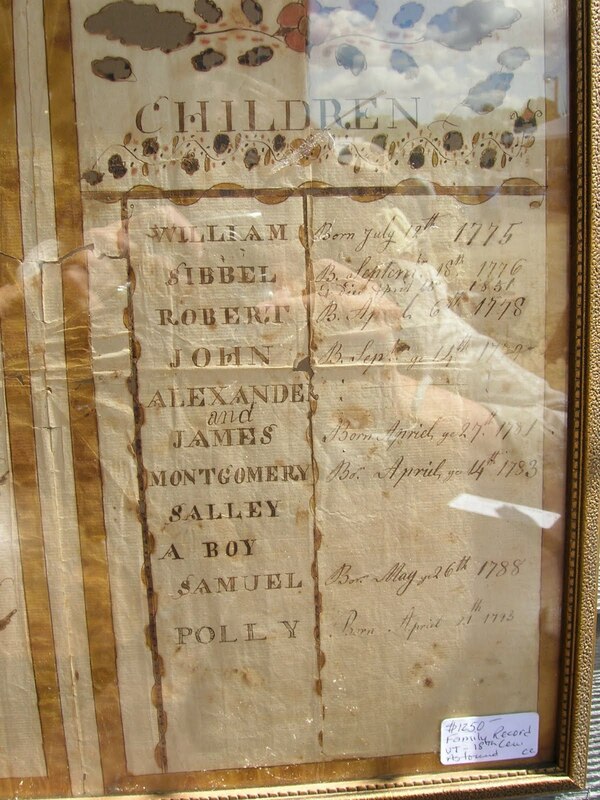 Several years ago at an antique show in Maine, I saw this wonderful family register. The vendor graciously agreed to my photographing it. Robert Morison (variously Morrison), was born 26 Jan 1751, and, on 3 Nov 1774, married Dorcas Staple (variously seen as Staples),who born 9 Dec 1753. I noticed in an online tree that the owner was not sure whether Robert was born in 1750 or 1751. 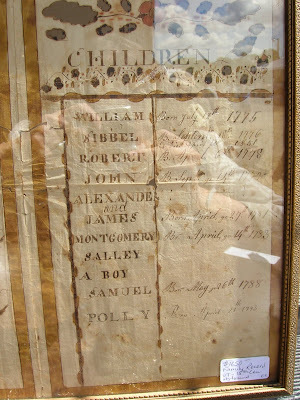 This Family Register notes a birth date of 1751 for Robert, but the Family Register may have been created many years after his birth date, and memories are often not reliable. The dates of birth for the children are more likely to be correct, but, as always, these things must be taken with a grain of salt. Robert died in Kents Hill, Kennebec, Maine, in 1808; Dorcas had already died, in 1805 in Readfield, Maine, if the online accounts are correct. Robert Morison's parents were William and Sarah (Montgomery) Morison, born in Scotland and Massachusetts respectively. His paternal grandparents were Robert and Margaret (Crochet) Morison of Scotland. His maternal grandparents were William and Mary (Given) Montgomery, Irish or Scots Irish immigrants to Massachusetts.